Guatemala is a very colourful and diverse destination with breathtaking nature, colonial cities and ancient temples. Full of natural beauty, with active volcanoes, caves, lakes and forests, this country bears an impressive legacy of pre Columbian civilizations. 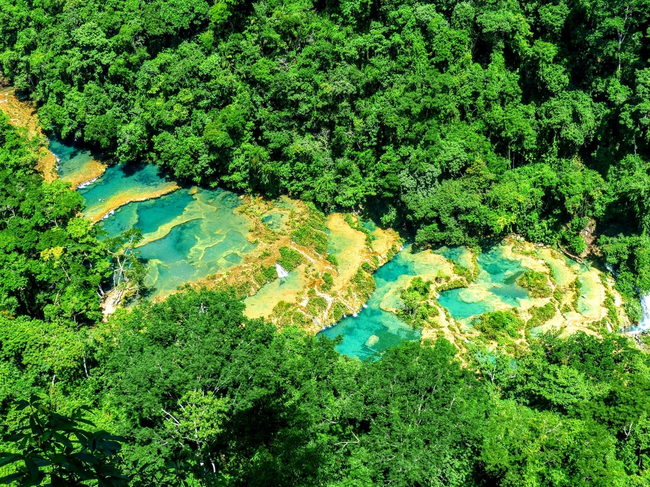 Visit the massive natural limestone formation with stepped swimming pools, set deep in the jungle, near Lanquín. 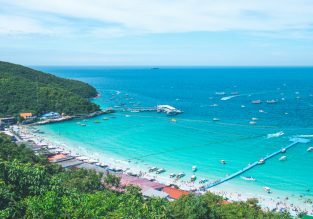 See the cascading turquoise lagoons, enjoy the rope swings or jump off the bridge to the refreshing emerald water and swim in the natural pools. You can also visit the Kan’Ba caves, a labyrinth where you’ll swim along an underground river, holding a candle above the water to light the way. 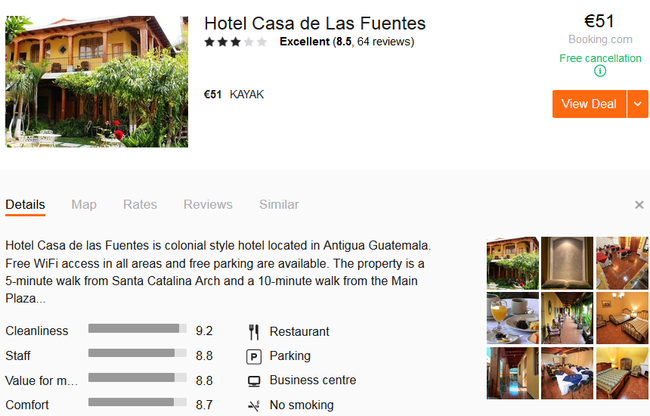 In Antigua Guatemala we encourage you to stay at 3* Hotel Casa de Las Fuentes with excellent reviews. This colonial style hotel is located a 5-minute walk from Santa Catalina Arch and a 10-minute walk from the Main Plaza. Each room here will provide you with a cable TV and a private bathroom with a shower and free toiletries. You can enjoy garden view from the room. Extras include bed linens. At Hotel Casa de las Fuentes you will find a 24-hour reception. Free WiFi access in all areas and free parking are available. 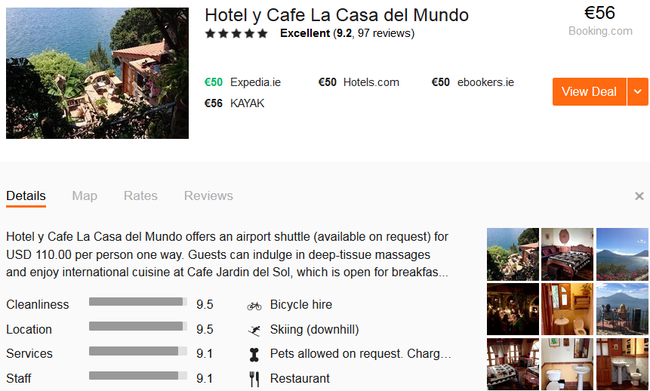 In El Jaibalito (Atitlan) we recommend you to book exceptional 5* Hotel y Cafe La Casa del Mundo. At this top rated hotel you will find a garden, a terrace and a bar. Other facilities offered at the property include a tour desk and laundry facilities. This superb hotel is also offering a restaurant and a private beach area in Atitlán Lake. Free WiFi access is available in all areas. The rooms feature hand-crafted Mayan décor and a private or shared bathroom with free toiletries and solar-heated water. Some of the rooms also offer stunning views of Atitlán Lake. Trekking through the depths of the Central American jungle to emerge in a lost Mayan city is a once-in-a-lifetime adventure. 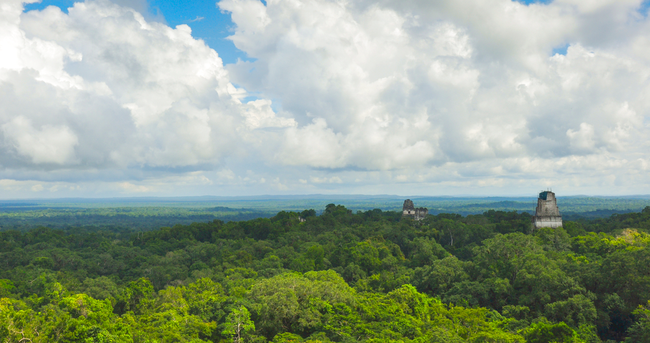 Climb the steep steps of the Tikal temples. Go sail fishing in Iztapa, on the Pacific Coast of Guatemala. 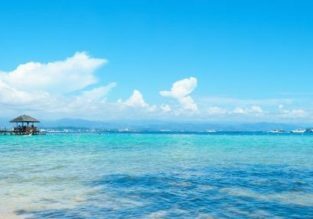 Visit black volcanic beaches in Monticerro, Livingston or Puerto San Jose. During the appropriate season you can actively take part in saving a sea turtle by visiting one of the ocean sanctuaries. The northwest of the country has some really remote jungle reserves, where you can take a multi-day trek. 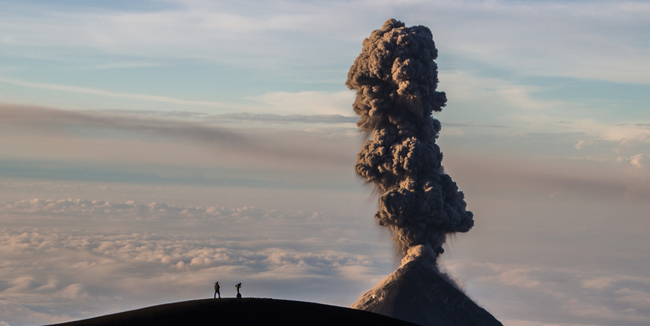 Quetzaltenango (“Xela”) is a perfect base for multi-day mountain excursions, hot spring relaxation trips, and volcano hikes. Travel the Río Dulce by boat, walk the cobblestone streets of Flores and wander colonial Antigua. Shop for local handicrafts and souvenirs at Chichicastenango Market. Guatemala is a great place to learn about coffee cultivation. 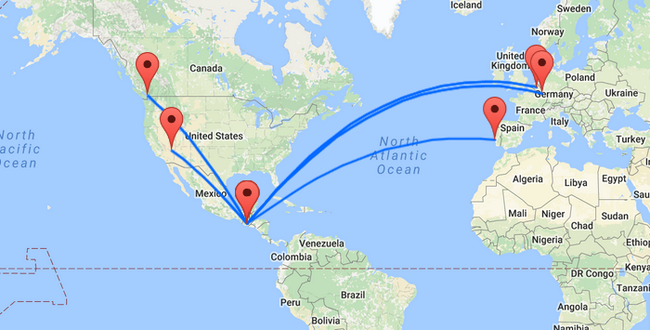 The local coffee is world renowned, and plantations can be found all over the country. Rent a kayak or go swimming in the clean waters of Lago de Atitlan or Semuc Champey. Zipline over the Guatemalan jungle at Chuiraxamoló Ecological Park. At Atitlán Natural Reserve in Panajachel there are 8 ziplines, a waterfall, suspension bridges, and butterfly area. Visit Guatemala v.3.0 (Updated version) from skycamguatemala on Vimeo.